Join the event that can win you lots of SS!!!!! Do you wish to win lots of SS? Do you want to share excellent pieces of works from other sites to other fellow Webnovel Daoists? Then participate in this event! This is an unprecedented event for winning SS!! 1. The nominator will win 50SS. 1. The nominator will win 200SS. 2. Other users who supported the particular book will be rewarded with 50SS. Readers with the best recommendation reasons for nominations will win 50SS as a reward! Of course, the more you invite, the more you get!! At the same time, you can cast votes to win SS. Are you enticed? Then read the rules of this event!! 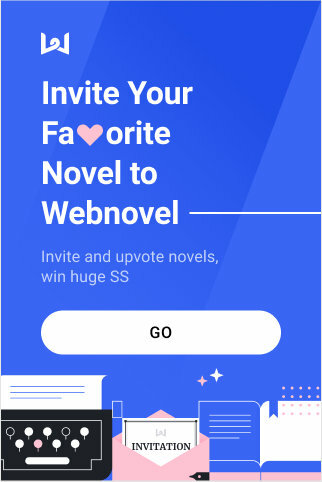 Enter the activity page and fill in the blank with the link of novel you wish to invite to Webnovel. Include a reason for the invitation. A user can only invite 10 novels at most. Voting works that have been recommended with a maximum of 5 votes a day. The work shall not insult national religious beliefs and living customs. 3. Currently, only links to Wattpad, Royalroad, and Goodreads are supported. You can share this event to garner more votes. We encourage everyone to invite more friend and works to participate in it! Webnovel_Staff is there any way to access the synopsis of the stories? Webnovel_Staff which type of novel can we invite, l mean is it need to be a webnovel or it can be a novel which has a hard copy as well...?? please define the "original work" as maybe it just me saw wrongly or my low understanding, just saw not all novel are original work in invitation. Webnovel_Staff Can you help clarify this? Webnovel_Staff For inviting a book do we need to take the permission of the author of that book...?? thanks for create an interesting event! For my own nominations I got this one..
Where can I find the like icon? p95 not really. It is an event for listing your favorite titles rather than helping readers to find your next book to read, haha. WEBNOVEL_OFFICIAL alright thank you would be nice to know the storyline in order to upvote stories is all..
Sbutterfly_ anything, but if u invite HP, we may not be able to get very easily.